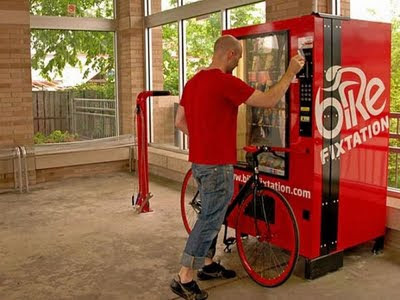 Maximizing Progress: Bike Fixtation ~ DIY Self-Repair Vending System! 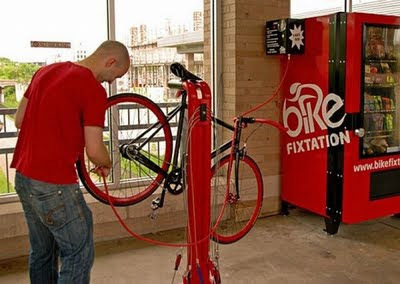 DamnCoolPictures spotlights Bike Fixtation, the key DIY bicycle self-repair vending solution! "Cycling becomes increasingly popular in big metropolitan centers around the globe. That is perhaps the reason why new services for bicyle riders start to become interesting business concepts. 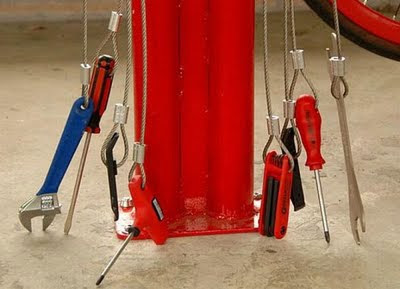 Bike Fixtation is a DIY bicycle repair station recently launched to serve stranded bicycle riders in the Minneapolis/St. Paul metropolitan area. The place offers all equipment needed to get unlucky bicycle riders back on the track. You can buy a tube or patch kit, pump your tires for free, and make simple adjustments using supplied tools."